Available on Modern Guilt acoustic. 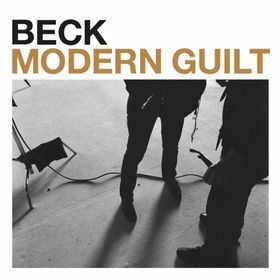 Sitting in the middle of Modern Guilt, "Replica" sounds nothing like Beck has ever done. Beck described Danger Mouse's beat for the song as "very challenging," and agreed that he never would have written to this type of music without Danger Mouse. It is a tense beat, the sort of percussive electro that grooves, but really is not particularly danceable. I've said a few times that Modern Guilt is heavily about a struggle to find your way home, somewhere warm, to find a bed to rest. "Replica" builds on that. Here, the focus is on the realization that the way to cope with the chaos is to somehow stand outside yourself. Hold up this replica of yourself to the chaos; while keeping the real you protected from the "howling wind." In the end, the outward replica may begin "to look cheap," but regardless, it has become a comfort. Left unsaid is what happens to the real person. The unreal has been built up, leaving what? These lyrics are easily some of Beck's most underrated. Who writes songs about this? There are surely lots of songs about chaos or struggle or trying to find your way home, a sort of "shelter from the storm" idea. But the idea to "make a perfect replica of your life" as a shield? That is unique, deep, and utterly fascinating. "Replica" was never a mainstay in Beck's setlists, even on the Modern Guilt tour. He only played it 15 times out of the approximately 50 shows on the tour, and a few of them were pre-tour warm-up gigs, or smaller side show type things. It has not been played since. I personally would love it if Beck found a good way to do the song with his band, but it seems that it may be a tough one for them to recreate and/or doesn't quite fit the live show atmosphere.